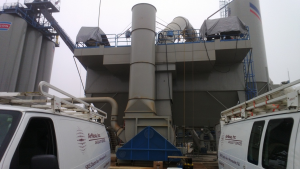 AirNova, Inc. provides the expertise, resources and commitment that result in effective solutions to difficult emission problems. As a leading independent Air Quality Services firm, AirNova, Inc. guarantees our clients the best service available today – fast, accurate, and economical. Air pollution emission monitoring and stack testing services include isokinetic stationary source sampling for particulate, acid gases, dioxins and heavy metals, continuous emission monitoring, ambient and indoor air monitoring and analytical laboratory services.